When it comes time to dust off your resume and start looking for new career opportunities, then you know that you’ll be interviewing soon. So let’s look at some of the things to be aware of when it comes time for the initial sit down for a new opportunity. First of all the term “dress for success” has been coined for a reason. There is no profession out there that should warrant sloppy personal presentation. You should be in your best business outfit, and that should be a suit or at the very least slacks, a collared shirt and a tie. Sneakers are not formal footwear no matter how many times you’ve seen Mark Zuckerberg do it. I’m sorry to say that too many individuals have missed out on an opportunity because they are unkempt. So, for goodness’ sake, GROOM! And be aware that dowsing yourself in cologne can be more off-putting than pleasant, so use sparingly. Be prepared! In an interview the tools you need are often information you have either researched or been prepped with. 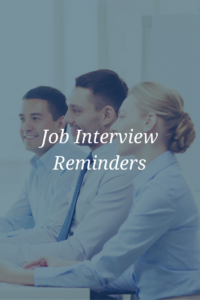 Items you need are simple… have a notebook and pen to be able to write information down, and 3-5 copies of your resume for any individuals with whom you might be interviewing. In the event you are in a career that has allowed you to collect a project list, having examples of your work is acceptable as well. These should be the only items you need for an initial interview. Make sure to leave any distractions at home or in the car. You don’t need your phone, if you have a tendency to glance at your watch out of habit (or because it relays you messages) leave it. Don’t wear anything that you would fidget with or play with. Don’t bring food or a drink in with you, and please don’t be chewing gum. Your focus should be solely on the interview process. Research the company and be prepared to talk about the position you are applying and how you are going to succeed. Know their business model and be able to give examples of how your past experience directly translates into their company. 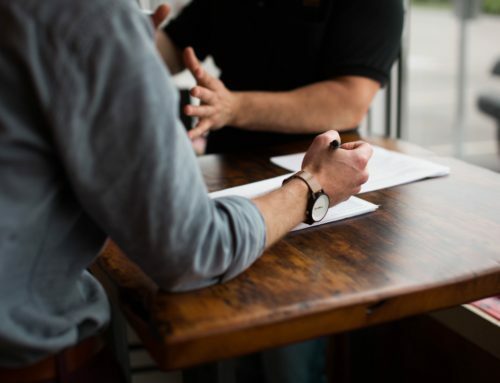 If you have been in sales for 10 years and you are interviewing for a job with a company that sells data analytics software, and you’ve never sold data analytics software, be able to show how you would have done so as it relates to your past. You want to show you’ve already started investing your time and energy into the position at hand. You should have an idea of what the salary is before the interview, so don’t talk compensation. If asked, simply say, “I’m not sure, I was extremely excited about the opportunity and am here to see if it might be a good fit for both of us”. Throwing out a number too high and you may price yourself out of the job, and coming into low leaves money on the table. If you have not been provided any information on the salary, then research the industry standard and adjust for which side of the scale your experience puts you. 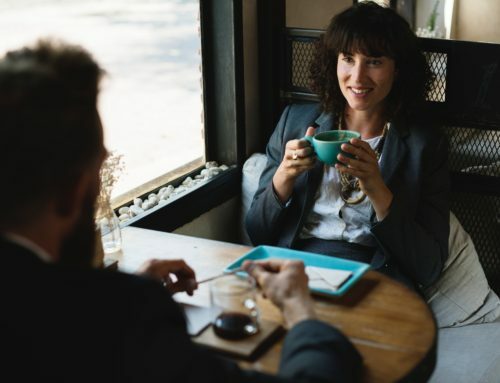 Finally, remember that you are interviewing them as much as they are interviewing you. Any career move should be made with the idea that you are in it for the long haul. You want to grow with the company and spend a good part of your career doing so. So ask questions! Is there an ability to rise in the ranks with title, compensation or both? Where do they see the company going, how do they plan to get there? Why is the role open and for how long has it been open? Ask the people you meet if they are happy working there and how long they have been around. You want to take a job that you actually want to take, so vet it properly.